We can’t be sure how long the Wilmcote plesiosaur skeleton has been on display at the Market Hall Museum, but it’s certainly been for at least a hundred years. As part of the ‘Our Warwickshire’ refurbishment, we had the skeleton taken down from its mount, in October 2015. The skull is one of the most important parts of the skeleton and its removal has allowed us to study it closely, for the very first time. 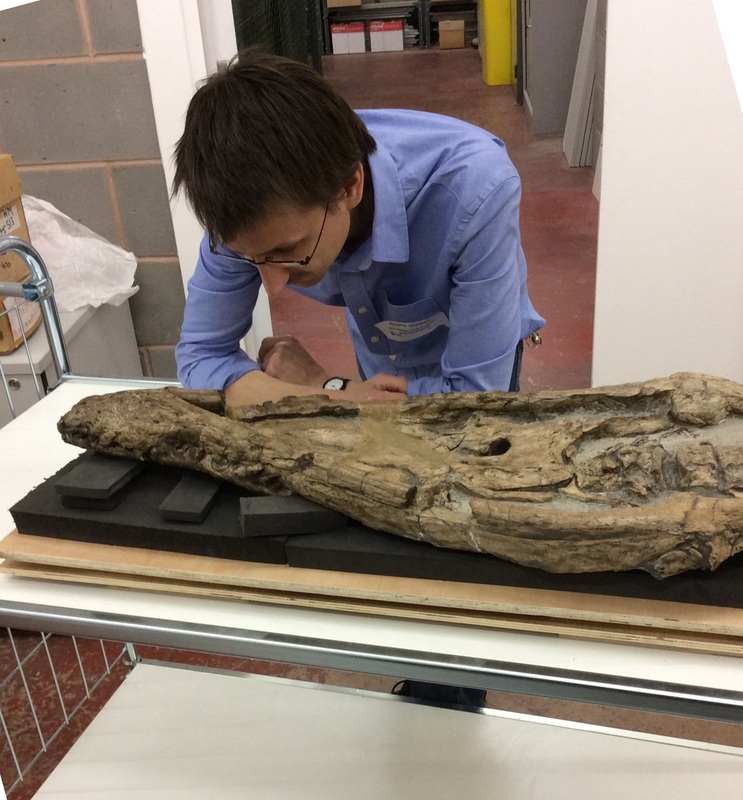 We have had it professionally cleaned and conserved, and in this photo international plesiosaur expert Adam Smith is taking a close look. We are hoping to have a full-size replica of the skeleton made for our new displays (opening 2016), including the skull.